Liquidity provision means: ‘the more illiquid the stuff you’re trading, the more rainy-day buffer we’re going to withhold from your P&L’. And since one way a thing becomes illiquid is ‘you’re dominating the market already’, you inevitably make it nonlinear, like a progressive income tax: No (extra) liquidity provision on the first (say) 100mm you own, half a point on the next (say) 400mm, a point on the next 500mm, 2 points on the next 1000mm, etc etc. (specific #s depend on the product). Problem solved. In fact, it’s genuinely weird and dumb if they didn’t have such a thing. The London Whale’s problem (one of them) was that he traded so much of a particular thing that he basically became the market in it. That means among other things that even if on paper “The Price” of what he owned was X there would have been no way for him to sell the position for X. A liquidity provision is a rough and dirty way of acknowledging this fact. This suggestion isn&apos;t a matter of GAAP accounting: JPMorgan wouldn&apos;t report its asset values, or its revenues, net of this liquidity provision. It&apos;s just an internal bookkeeping mechanism: his bosses informing the Whale that, for purposes of calculating his P&L and, thus, his comp, they would take the GAAP value of the things he had and subtract a semi-arbitrary number for their own protection. It is weird and dumb that they didn&apos;t do this although you can sort of guess why: the Whale portfolio started very small, and by the time it got big the Whale was both profitable and a (mostly imaginary) tail risk hedge, so it would have been hard for a risk manager to take a semi-punitive step to rein in his risk-taking. "Just tell the Whale to take less risk" does in hindsight seem like a sensible suggestion, but I suppose if he&apos;d made $6 billion it wouldn&apos;t.
Something else though. Here you can read about an exchange between the SEC and JPMorgan about the Whale newly released yesterday. (You can read the actual exchange here, here, here, here, here, here and here.) This is more or less entirely an exercise in barn door closing, or whatever the equivalent metaphor is at SeaWorld; the entire correspondence played out after the Whale had been blown up and fired. Finally, management judgment must be applied to assess the appropriate level of valuation adjustments to reflect counterparty credit quality, the Firm’s credit worthiness, constraints on liquidity and unobservable parameters, where relevant. The judgments made are typically affected by the type of product and its specific contractual terms, and the level of liquidity for the product or within the market as a whole. We note your disclosure on page 97 that there are adjustments made to the fair value for a variety of factors including liquidity. Tell us the instruments for which you have made liquidity adjustments, the amount of such adjustments, your basis for the adjustment, and how you considered guidance in ASC 820-10-35-36B with respect to these adjustments. The Firm considers liquidity adjustments to be those adjustments necessary to adjust an initial valuation estimate to the most appropriate point within the bid-offer spread, considering all available market information, and to appropriately consider less observable valuation parameters. The vast majority of the Firm&apos;s liquidity adjustments relate to complex and/or less liquid derivative instruments, where the liquidity adjustments are intended to adjust the front office&apos;s initial fair value estimate to an appropriate exit price. Liquidity adjustments reflect current market conditions, and not the size of the Firm&apos;s own position as referenced in ASC 820-10-35-36B (although the Firm notes that in certain cases where specified criteria are met, valuations are estimated considering the size of the net open risk position, consistent with the unit of account at the portfolio level, as addressed in ASC 820-10-35-18G). The Firm believes that there may be differences in practice among industry participants regarding which type of adjustments are labeled "liquidity adjustments" (versus bid-offer adjustments, parameter adjustments, etc.). However, we believe that the concept of liquidity adjustments is common among financial institutions as a mechanism to adjust initial valuation estimates to appropriate final estimates. The SEC mostly drops the matter after that,1 possibly because the redacted bits satisfied it completely. Premiums or discounts that reflect size as a characteristic of the reporting entity’s holding (specifically, a blockage factor that adjusts the quoted price of an asset or a liability because the market’s normal daily trading volume is not sufficient to absorb the quantity held by the entity, as described in paragraph 820-10-35-44) rather than as a characteristic of the asset or liability (for example, a control premium when measuring the fair value of a controlling interest) are not permitted in a fair value measurement. I&apos;m not an accountant and I&apos;m sure there&apos;s a good reason for that. But notice what happened here. The Whale was trading in pretty liquid products - standardized index credit derivatives with frequent trades, a bunch of dealers submitting quotations to a third-party pricing service, and bid/ask spreads of a few basis points. So, no adjustment. Even though he basically owned the entire market in some of those products. And that leads to an economically wrong result. The Whale&apos;s valuations were - well, there is plenty of reason to think that they were wrong, and some reason to think they were dishonest, but they were for the most part within the bid/ask spread and so sort of plausibly GAAP-ish if you squinted. (The definitive discussion is Lisa Pollack&apos;s here, here and here.) They seem to have been "off" - that is, the marks were distant from the mid-market prices - by about $500mm, give or take, which is not great, but not all that bad measured against the ($100bn+) notional of the position. On the other hand, the Whale&apos;s six billion dollar loss on unwind - on, mind you, not all that panicky an unwind, considering - seems to have been due mostly to his being too big for the market, not due to changing economic conditions, though it&apos;s not necessarily easy to untangle. So JPMorgan&apos;s books were "wrong" - in the sense of not reflecting economic reality - in small part because the Whale position was incorrectly valued under GAAP accounting, but in much larger part because GAAP accounting required JPMorgan to ignore the liquidity effects of the Whale&apos;s giant position. 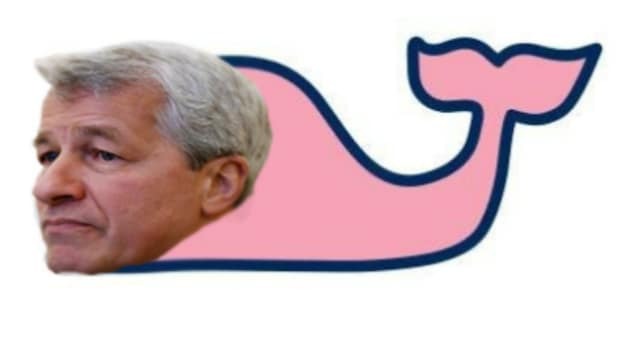 The Whale&apos;s mis-marking inflated the value of his positions by hundreds of millions of dollars; JPMorgan&apos;s inability to haircut those positions for liquidity risks inflated their value by billions. The Division of Corporate Finance of the SEC is lucky that it&apos;s job is not so much to tell companies what to do as it is to ask pointed questions, so it&apos;s not entirely clear what they meant here in asking "tell us what positions you adjusted for liquidity, and how you did it, and how you took into account the GAAP rule requiring you not to make liquidity adjustments based on your own positions." Were they hoping that JPMorgan had learned from the Whale and was imposing some sort of liquidity provision in its financial reports, while still managing to comply with GAAP? Were they reminding JPMorgan that, despite the lessons of the Whale, it couldn&apos;t impose any sort of liquidity provision in its financial reports? I guess the latter but, again, not an accountant. In any case. JPMorgan&apos;s accountants: not allowed to take into account the Whale&apos;s humongousness in doing their GAAP books. JPMorgan&apos;s risk managers: really ought to have taken into account the Whale&apos;s humongousness in supervising his P&L books, but weirdly did not. I wonder if there&apos;s a connection? 1.There are other discussions of liquidity adjustments in the letters though, some interesting, though most a little too redacted to discuss. Volcker Rule Would Have Required JPMorgan Whale To Look Himself In The Mirror And Ask "Is This Really What I Want To Do With My Life?" Bruno Iksil has penned a novel-length denunciation of JPMorgan that alleges...something.